Check out my Github and Devpost to see what I'm working on! 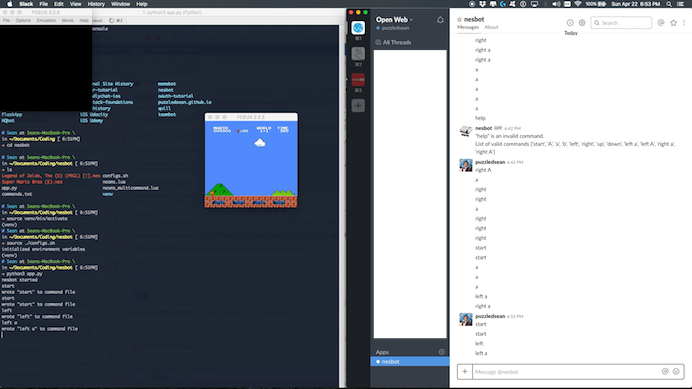 Inspired by TwitchPlaysPokemon, I built a Slack bot that parses user input to crowdsource gameplay of the original Super Mario Brothers on an NES emulator with Lua and Python. Demoed with Open Web members. 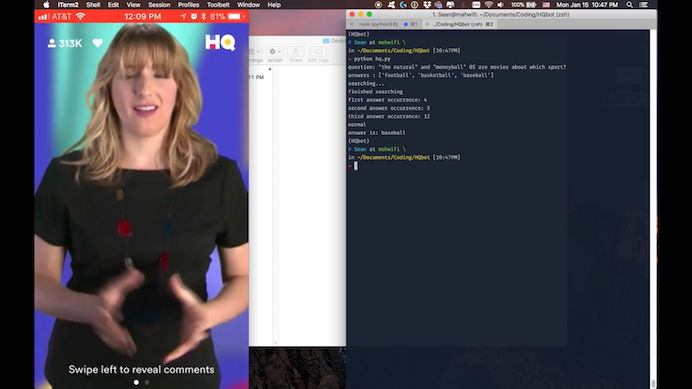 As a fun project for experimentation purposes, I built an HQ Bot with Google Cloud Vision for OCR and Google Search to try to best the famous HQ mobile trivia game. My bot was usually able to get through the first 4-6 questions (out of 12). 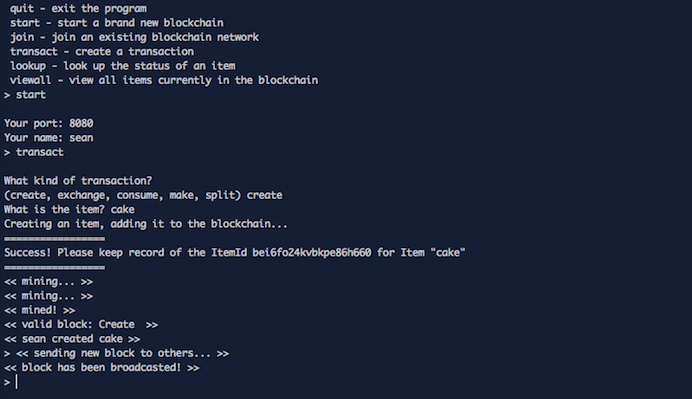 As part of a class group project, my team and I built a blockchain system to record transactions and visualize the provenance of items in order to accurately verify and improve supply chain management. 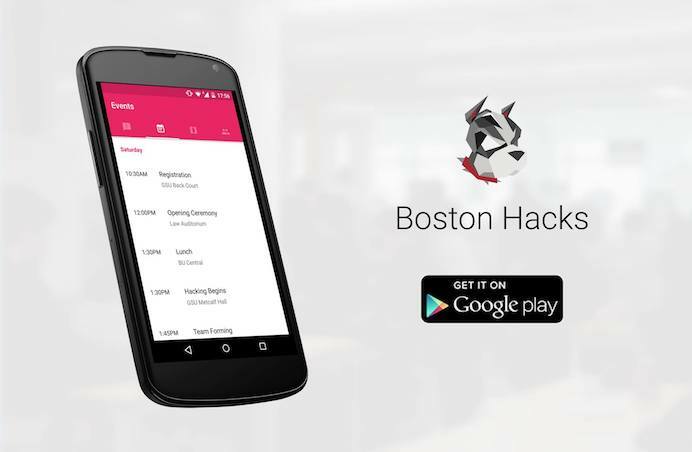 Throughout the Spring 2017 semester, I built a shuttle app for Boston University in React Native with two other students. 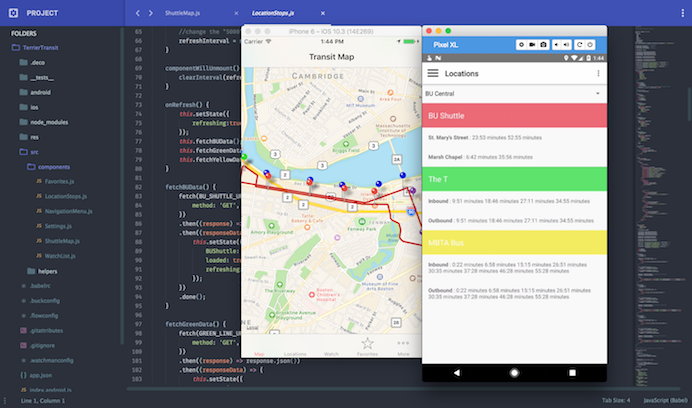 I was responsible for implementing the MapViews and data from an in-house API for the BU Shuttle, the T, and the MBTA bus. Built for both iOS and Android. 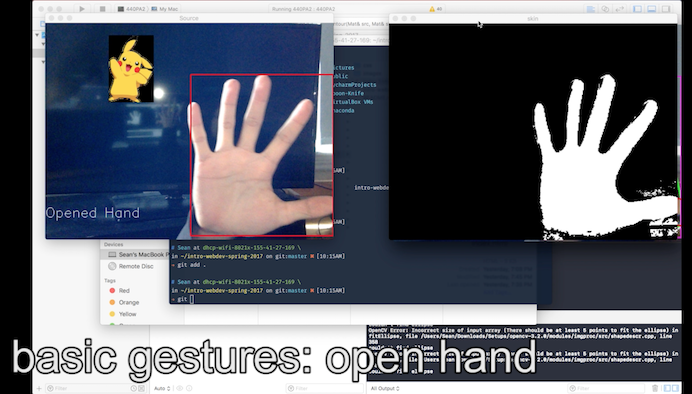 For one of my Intro to AI programming assignments, we learned how to create a basic hand gesture recognizer. I created a game out of it to catch Pikachu using simple contouring, frame differencing, and motion energy. I built a small project where users can text an origin and destination location and receive the directions through SMS. Built using Google Maps and Twilio. 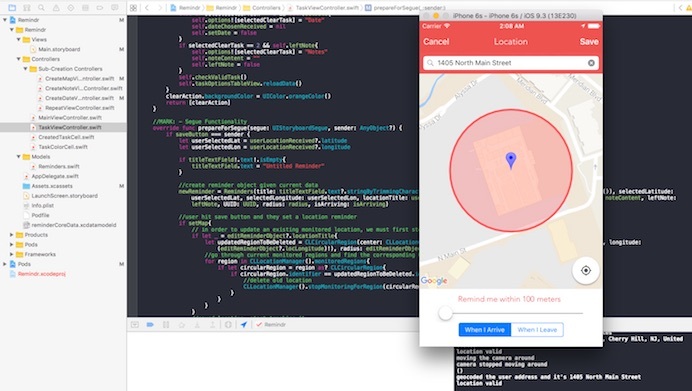 I designed and developed an iOS reminder app built with Google Maps API as a fun side project to learn iOS/Swift. Instead of most reminder apps that are time based, this reminder app is location based. My team and I built an Android app called AssassinSpoons, an app that complements user's gampleay of the popular game, Assassins. 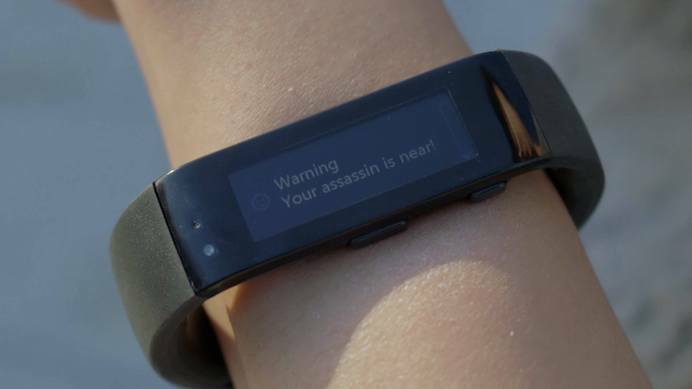 Our app pairs with the Microsoft Band and uses GPS to track locations in real time of a target/enemy's whereabouts. 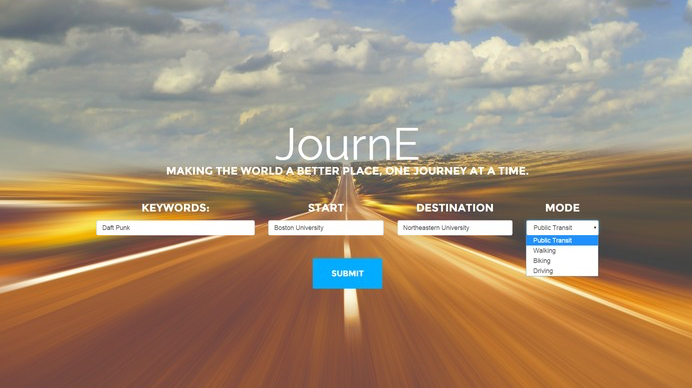 Built with Google Maps API/Microsoft Band/Parse at HackHarvard 2015. I pushed my first Android app onto the Google Play Store with the team at Open Web. Our app helps attendees stay up to date by providing schedules, maps, contact information, and push notifications. I wrote a fun little Python script that types words as fast as possible into 10fastfingers.com. My team and I developed a web application that creates Spotify playlists based on the length of a given road trip. You'll never have to leave the car in the middle of your favorite song! Built with Spotify/Google Maps API at MakeBU 2015. My team and I built a fun, web-based madlibs spinoff game, where users had to fill in the blank, given a representational gif of the word. Users have to correctly guess as many phrases as they can within 30 seconds. 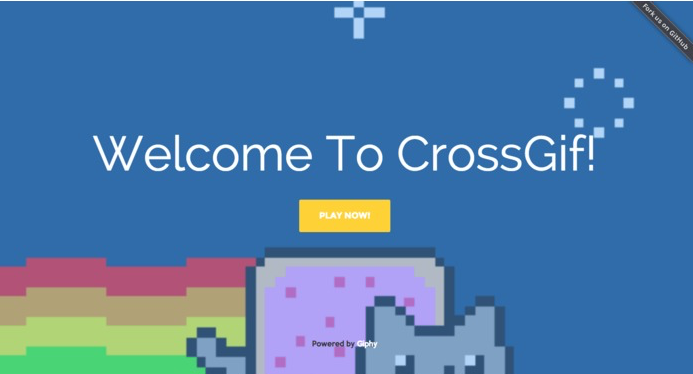 Built with Giphy's API at HackNY 2015.